Beumer Group, with global headquarters in Beckum, Germany, recently supplied an entire integrated packaging line to the Cooperativa La Cruz Azul SCL, Mexico’s third-largest cement manufacturer. The new line was required for the flexible and fully automated filling, palletising and packaging of different grades of a new tile mortar. The solution proposed by Beumer, providing everything from a single source, was chosen in preference to competitive systems. 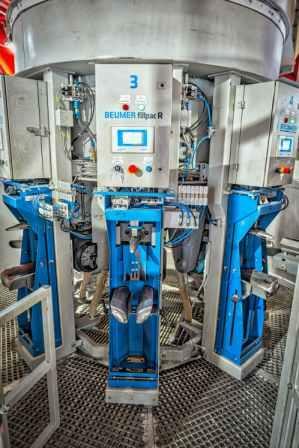 It included the BEUMER fillpac R filling system that was adapted for filling a range of different materials. It also included the BEUMER bag placer to ensure a more efficient filling of the high-quality materials. 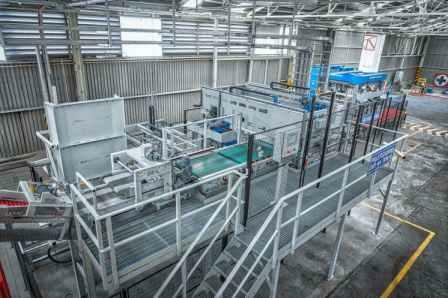 With this new packaging line, the customer has been able to achieve its projected production capacity.